Lubricant based on fatty acid, sequestrants, and surfactants. - Facilitates the sliding of the bottles. - Provides a gentle cleansing action, maintaining clean and shiny conveyor chains. - Prevents excessive foaming, even during accumulation, making it well suited for electronic installations inspectors. 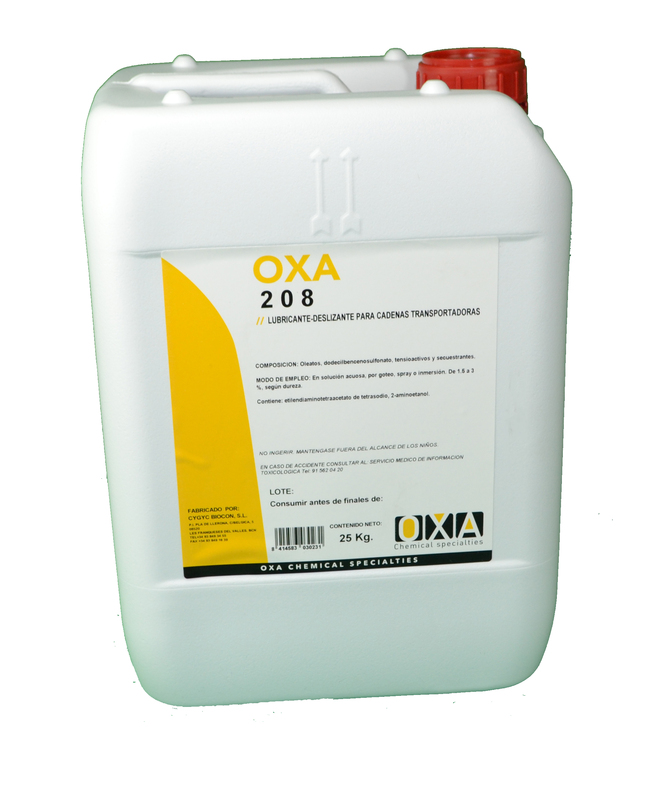 - Inhibits corrosion due to its special formulation. - Density: 1.03g / ml. Product suitable for use in food industry. Biodegradable product complies with EC Regulation No. 648/2004 on detergents.